Wild Horse Annie’s horses are being pushed through the livestock auction again next Wednesday September 26th in Fallon, Nevada. 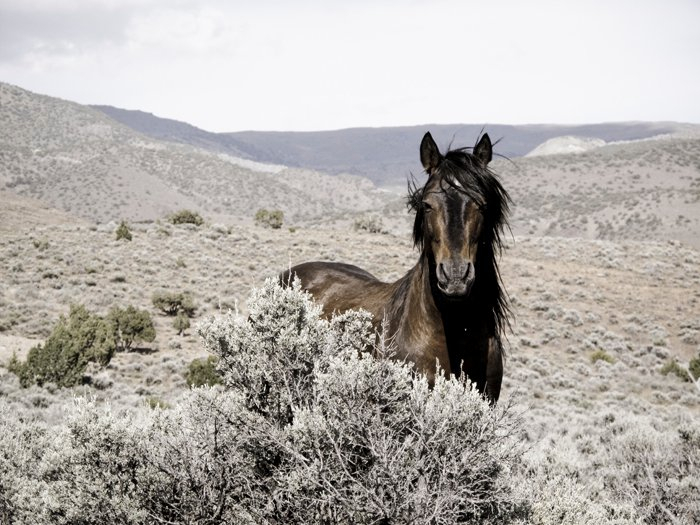 News 4 Reno aired Hidden Valley Wild Horse Protection Fund’s call for help here. “I just got off the phone with Shannon Windle, President of Hidden Valley Wild Horse Protection Fund. She’s still at her 9-5 job and told me that only $13,000 has been raised so far to buy the horses but that’s not enough to house them. She will look into other donations coming in when she gets home from her day job. I have heard other groups are raising money for this and we are so grateful that everyone is helping save these wild horses. We have been looking for solutions because the foster care pens are maxed out and it’s hard to find people with 6 foot fencing to hold in the wild ones. She decided that getting panels to build more corrals is a good solution. So Hidden Valley is raising money for the corral panels and looking for horse people with extra space who are willing to foster Wild Horse Annie’s beloved Virginia Range horses. Hidden Valley will provide the corrals, feed and is responsible for vet care, etc. Find adopters in and out of state. 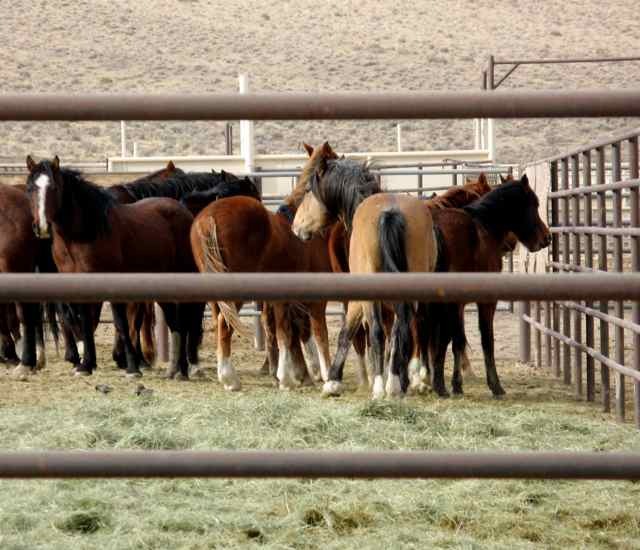 Because the livestock auction staff likes to bid against the wild horse advocates to jack up the price and their commission, the small wild horses are going for up to 3 times the market value of a heavier horse. A mare and foal pair sold for $1000 last week. The foster-cares are full after last week’s rescue of 23 Virginia Range horses. So we need to create solutions and build more corrals with panels to hold 25 more horses until we can adopt them out. Mustang panels are 6 ft high and must be made of sturdy steel. We found a bulk price of $126. a piece. Hidden Valley needs 150 panels. Let’s all chip in whatever we can and hope the auction house will be compassionate this week and not bid against us. 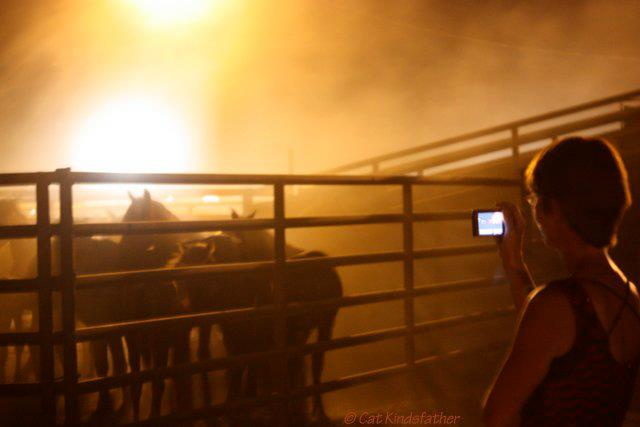 Thank you for doing what you can to help save America’s wild horses from going to slaughter. This entry was posted in Uncategorized and tagged Anne Novak, auction, Hidden Valley Wild Horse Protection Fund, Nevada, Protect mustangs, Reno, rescue, roundup, Sandoval, Shannon Windle, slaughter, Tahoe, Wild Horse Annie, wild horses by Protect Mustangs. Bookmark the permalink.